Over on the Grosmont M.P.D. 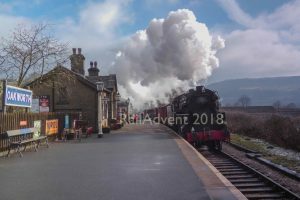 News group on Facebook, pictures have arisen showing LNER B1 No.1264 arrive back at the North Yorkshire Moors Railway. 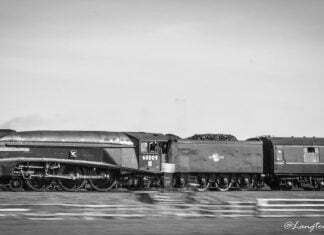 The B1 has been up in Scotland for the past week hauling stages of the ‘Great Britain XI’ railtour – a mammoth 9-day railtour taking in different locomotives and railway lines. No. 1264 returned to Grosmont MPD this morning after road transport from Scotland. 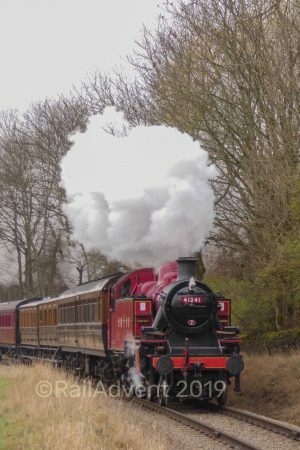 The locomotive has recently been passed out for mainline running after returning to steam after winter maintenance and a repaint into LNER lined black. 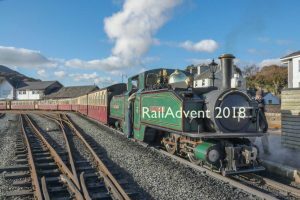 She has already been out on the mainline in 2018, hauling ‘The Whitby Flyer’ railtours with 8F No. 48151 between York and Whitby. After having her stint on the ‘big railway’, No.1264 will now be available for hauling steam trains on the North Yorkshire Moors Railway between Pickering and Grosmont, being mainline certified, the locomotive can also take passengers onto the mainline extension from Grosmont to Whitby. Built-in 1947 by the North British Locomotive Company, to Thompson’s design, No. 1264 soon changed numbers to 61264 when it was transferred into BR ownership. 61264 was first allocated to Parkeston Quay and ending her days at Colwick, only her second allocation. When sold for scrapping, 61264 ended up in a very special scrapyard, Barry. 61264 stayed at Barry, as the only ex-LNER loco, until 1973 when rescued. After 20 years of restoration, where heavy boiler and firebox work was required, 61264 was returned to steam in 1264 in LNER Apple Green livery. 61264 was previously in BR Black with early crest. 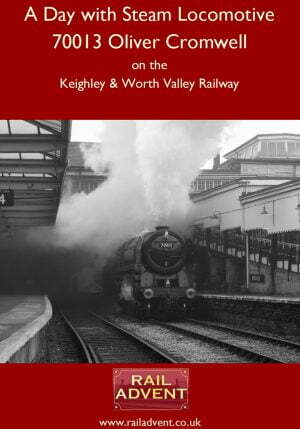 It is based on the North Yorkshire Moors Railway and is passed for mainline running. 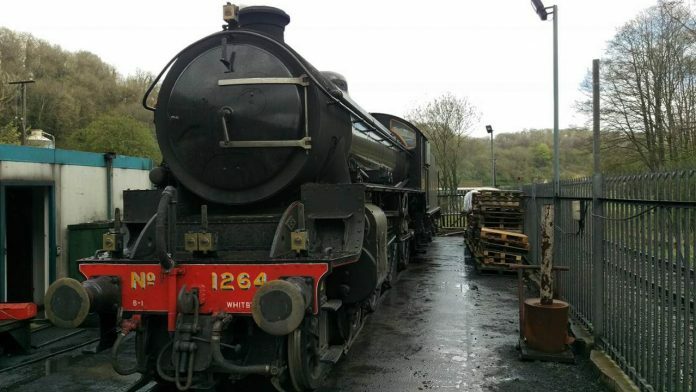 Thanks to the Grosmont M.P.D News – The Original group for the photo. Click here to join the group for news at the shed.